I have been battling with some rougue piece of code which I just discovered to be a known bug in the Android Design Support Library v22.2.1. The TabLayout in a Fragment seems to loose its Tabs when you add/replace the fragment, and shows up when only when the fragment is recreated. I hope this saves you some debugging time. Communication between various components in the Android framework has been one of the major issues facing Android application development. A lot of work-arounds (more like hacks) have been used to solve some of this issues, many of which increases code complexity as the project expands and also leads to grossly inefficient use of the framework. The event-driven architecture utilizes the Publisher-Subscriber pattern to solving issues with inter-component communication by allowing components asynchronously send, receive and process events. The publishers emits (produces) events, while the consumers subscribes for events. 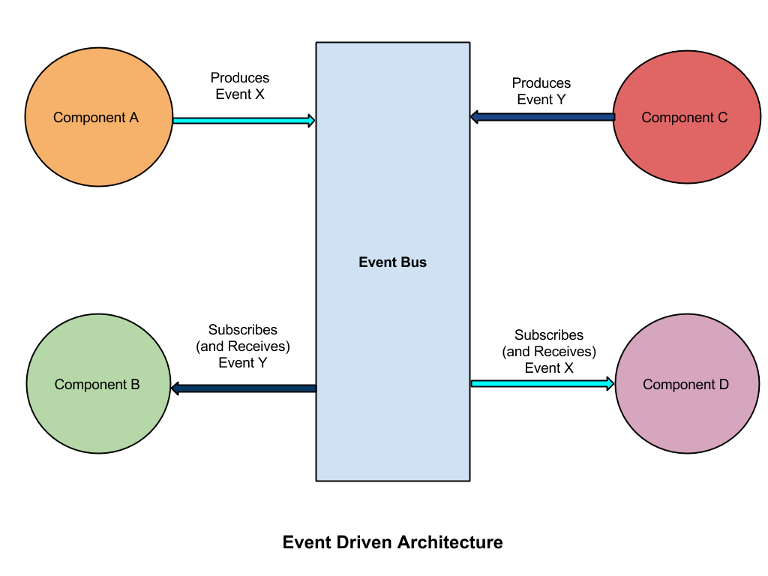 At the center of this architecture is the event-bus which receives events and sends them asynchronously to subscribers of these events. ###About Otto There are a couple of libraries that help with implementing the event bus on Android, some of which includes EventBus, Otto. I have used Otto in some projects i have worked on and I will be explaining the fundamentals. Otto is an event bus designed to decouple different parts of your application while still allowing them to communicate efficiently. It is quite simple to use and highly optimized for Android. ####Create the Bus You simply create a Bus object, which is the event bus implementation. ####Publishing Events Publishing an event is by calling the .post(event) method of the Bus class. // React to the event somehow! The event-driven paradigm allows for high decoupling between various application components. Example includes Activity-Fragment, Service-Activity communication. The example code implements a simple Service-Activity communication. The full source code of the example is available on Github. If you have got questions, contributions, corrections, please leave a comment below. In the social media ero we live in, people are extremely conscious of how they are perceived by others. We are seeing a much higher level of expression especially from young people and pictures have become one of the most ubiquitous means of these expressions. Testament to these is the success of various photo-editing applications, Instagram, PicMix and others. The recently concluded Google Cloud Developer Challenge inspired us to create something that we think will help people express themselves more. ###Why we built Imageing? While Instagram seem to have grabbed most of the market with their successful Android and iOS apps, they have yet to put the power of their awesome filters into their web app. The instagram web app only allows you to view photos, edit your profile and comment on photos. Considering the large amount of time people spend on their browsers, we thought their we could take advantage of that space and build a useful photo-editing application that would work on a browser and feature custom image filters and incorporate sharing. ###How it works We built Imageing with the aim of helping browser-based users aggregate their photos from various social media channels (Facebook, Google+) and also photos on their devices, edit them with various Instagram-like filters and also let them share these edited photos on social media. We also had to ride on our users love for memes, by adding capabilities to create memes out of their photos. 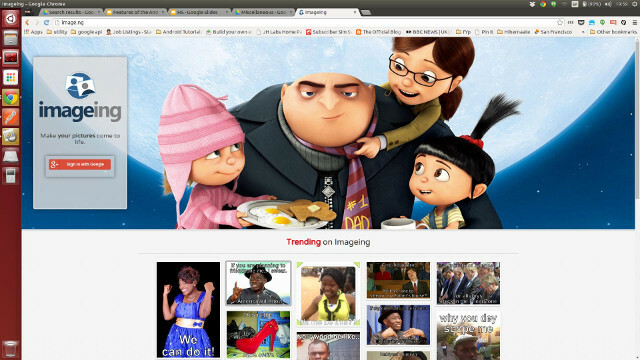 We included trending photos on the homepage where we feature photos that are attracting high volume of traffic. (You could try it out at http://image.ng). ###Okay, about the team Its a small team and most of us like to stay under the radar. Just for the records, we have +Caleb Mbakwe, +Moyinoluwa Adeyemi, +Akinade Gbenga and your’s truly +Oyewale Oyediran working on Imageing. We started building it in the laboratory at the Department of Computer Science at Obafemi Awolowo University during one of our free weekends. I’m always happy to answer questions about Imageing on my twitter handle @waleoyediran, if you tweet at me. ###Where are we going from here? We are not calling for an IPO anytime soon (*giggles**). We are building new free and premium features into Imageing and improving the user experience. Yes, we are adding premium features, they are central to our monetization strategy. We would be ditching the appspot domain we are currently riding on for what we think is a more exciting domain name. We also have a native app cooking up, we would try to take on the big guys. 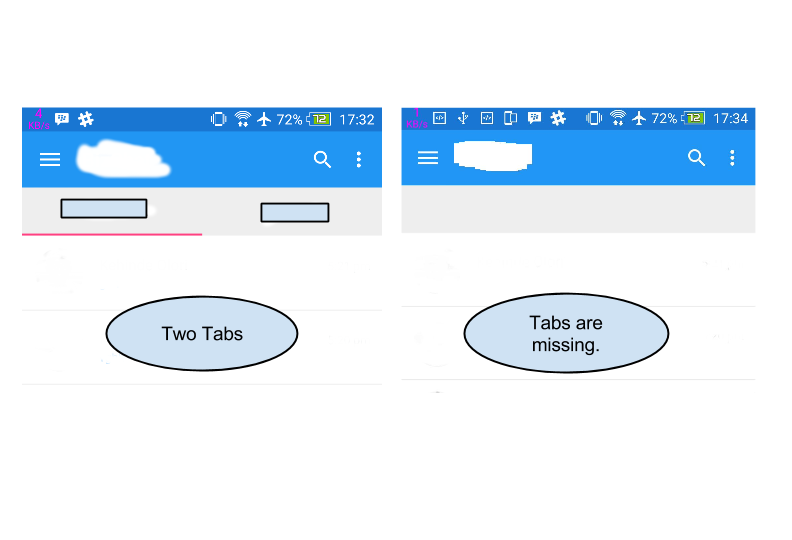 In this post, i will be describing a pattern of designing a good SQLite data-access layer for Android. When your application needs to offer complex data to other applications, the appriopriate approach is to use Content Providers. But many simple applications do not need to copy data to other applications. After using various approaches to data-access design over the years, I have been highly influenced by the approach used by the Ushahidi Android client. We create an interface class that basically contains the Database schema definition. It contains table name, column names and table creation schema. String USER_TABLE_CREATE = "CREATE TABLE IF NOT EXISTS "
+ " INTEGER PRIMARY KEY, "
+ " TEXT NOT NULL, "
The basic functions of the User data-access layer could optionally be described in an Interface such as this. Now we create our User Data Access class. Having our Data Access Object class setup, we then proceed to create our Database Helper class that provides an handle to the database resource. Its important to increment the DatabaseVersion on every schema change. Log.w(TAG, "Upgrading database from version "
+ oldVersion + " to "
db.execSQL("DROP TABLE IF EXISTS "
The Database helper class creates an instance of the DAO class on opening the DB resource The pattern aslo encourages having one static handle on the database which could be created in a Application subclass. The DB is opened onCreate of the application and closed onTerminate to avoid leaks. So I guess you are building an application that requires email to be sent out. Depending on your platform (PHP has the builtin mail() function and perhaps AppEngine’s Sendmail function), you might find yourself needing to use the Unix sendmail function. Additionally, you might want to tail the log file to monitor sendmail functions. So I hope you have a smoother devlopment experience with mails from your local machine.